A majority of blacks in the United States — more than 3 out of 5 — say they or a family member have personal experience with being treated unfairly by the police, and their race is the reason why. 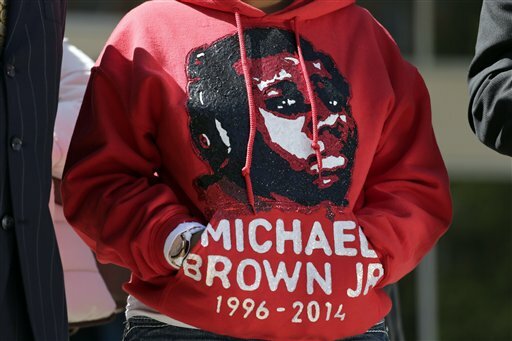 This information, from a survey conducted by the Associated Press-NORC Center for Public Affairs Research, comes as the Michael Brown shooting in Ferguson, Missouri, approaches its first anniversary and the nation continues to grapple with police-related deaths of black Americans. African-Americans said they felt especially targeted by the police. Half of black respondents, including 6 in 10 black men, said they personally had been treated unfairly by police because of their race, compared to 3 percent of whites. Another 15 percent said they knew of a family member who had been treated unfairly by the police because of their race. White Americans who live in more diverse communities — those where census data show at least 25 percent of the population is non-white — were more likely than other whites to say police in their communities sometimes treat minorities more roughly, 58 percent to 42 percent. And they’re more likely to see the police as too quick to use deadly force, 42 percent to 29 percent. —More than two-thirds of blacks — 71 percent — thought police are treated too leniently by the criminal justice system when they hurt or kill people. A third of whites say police are getting away with it, while nearly half — 46 percent — say the police are treated fairly by the criminal justice system. —When asked why police violence happens, 62 percent of whites said a major reason is that civilians confront the police, rather than cooperate, when they are stopped. Three out of 4 blacks, or 75 percent, said it is because the consequences of police misconduct are minimal, and few officers are prosecuted for excessive use of force. More than 7 in 10 blacks identified problems with race relations, along with poor relations between police and the public that they serve, as major reasons for police violence. —Whites and blacks disagreed over whether police are more likely to use deadly force against blacks. Nearly 3 out of 4 whites — 74 percent — thought race had nothing to do with how police in their communities decide to use deadly force. Among blacks, 71 percent thought police were more likely to use deadly force against black people in their communities, and 85 percent said the same thing applied generally across the country. Fifty-eight percent of whites thought race had nothing to do with police decisions in most communities on use of deadly force. Seventy-two percent of whites said they always or often trust police to do what is right for them and their community, while 66 percent of blacks said they only sometimes, rarely or never trust the police to do what is right. David A. Clarke Jr, who is sheriff in Milwaukee County, Wisconsin, said African-Americans have more encounters with police than whites because of crime rates in urban areas. “If you have more interaction with the police because of the crime and the disorder in our urban centers — the American ghetto I like to say it — it’s going to skew the numbers,” Clarke said. David Thomas, 80, of Vienna, Georgia, recalled being treated roughly when stopped by police as a young man in Savannah, Georgia. He said relations between black communities and law enforcement have improved since then. The AP-NORC Poll of 1,223 adults, including 311 black adults, was conducted online and by phone July 17-July 19, using a sample drawn from NORC’s probability-based AmeriSpeak panel, which is designed to be representative of the U.S. population. The margin of sampling error for all respondents is plus or minus 4.2 percentage points. For results among black respondents, the margin of error is plus or minus 9.1 percentage points. Respondents were first selected randomly using address-based sampling methods, and later interviewed online. People selected for Amerispeak who didn’t otherwise have access to the Internet were interviewed over the phone.